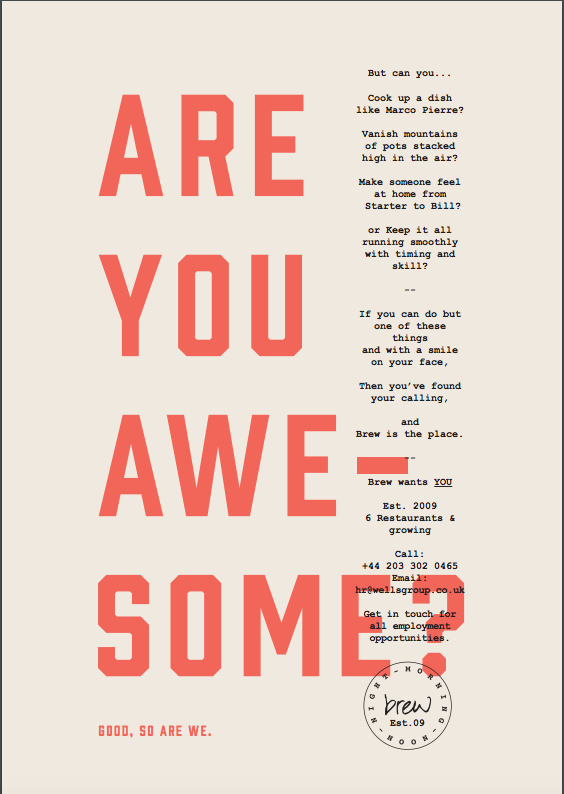 ARE YOU AWESOME? Good, because so are we! We are looking for some creative and ambitious stars to join our fantastic team at Brew. We are expanding with two more sites this year and need the best people to share our journey with us and help us expand!